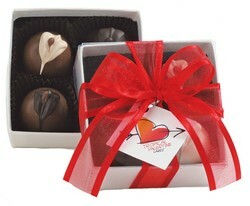 Celebrate Valentine's Day, gourmet style. Our rich, creamy truffles will enchant even the coolest customers. 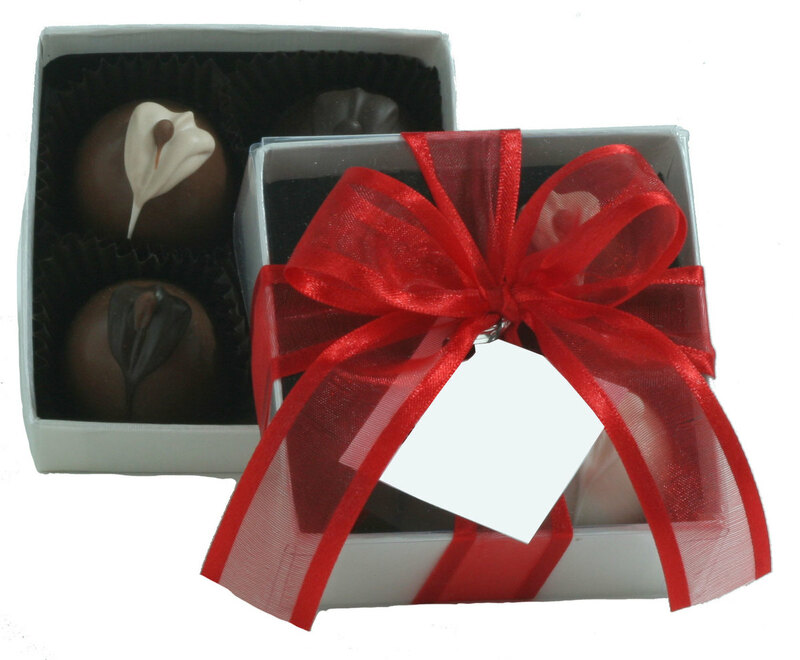 This box holds four truffles—enough gourmet bliss to make anyone’s day! Each box comes tied with a lovely red ribbon. Personalize your gift with a custom full color hang tag, at no additional charge.